Have you been looking into coloring your hair for fall to switch it up from your summer color? Well we have some great ideas here at Salon on the Ave to help you out! The following are colors that are hot hot hot for fall and will make a big difference. Emma Stone is one of our favorite red-heads! Her hair is one of the hottest looks for fall. This coppery dimensional color actually looks great on most skin tones and will match the leaves around you! Great for warming up your skin tone in the cold weather! Butter blonde is actually really rich and bright. It's a perfect hair color if you want to stand out, but if you don't already have lighter hair it can be a little more work to keep up, but worth it!! It typically looks better on people with fair skin or just sun-kissed like Kate's above. Don't forget to amp up your makeup with this new color! Toffee blonde is so pretty in the fall. It's a mix of honey blonde with ribbons of a toffee/caramel color through it. This is personally my favorite color for fall. Add on a long layered cut with this look and you will be full of dimension! 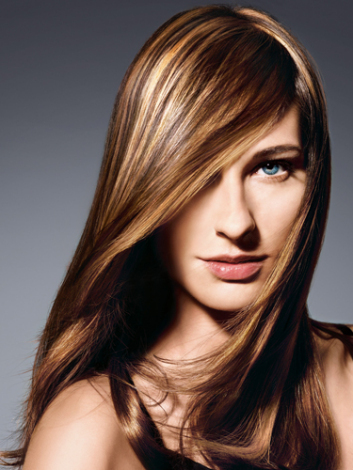 Changing up your hair for fall can be as simple as adding highlights! We love this chestnut brown hair with highlights. We recommend getting a half or partial weave and leaving the underneath dark. So pretty for fall. Highlights can be harder to keep up with dark hair, but definitely worth it. It changes your hair from blah to bam and gets you noticed! 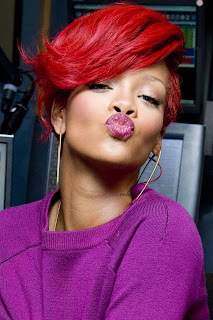 If the natural auburn red isn't quite your style, try out this super pretty vibrant red! You're sure to get noticed rocking a color like this! Again, this can be a littler harder to keep up than just a natural color, but this is absolutely one of the best colors for fall and a great way to stand out! Ombre will be huge this fall! Especially if you have dark hair and want to vamp up your color with out all the upkeep of highlights or an all over color. You never have to worry about your roots with a color like this! It can be edgy or soft, extreme or subtle! We love this look. And finally, the last color that is sure to be hot for fall is espresso brown. It's dark, deep and lasts a really long time! Even when this color starts to fade, it fades nicely. If you are looking for a low-maintenance color that will work with so many different skin tones, this is it!! Alright, there you have it! 7 colors great for fall! Let us know which is your favorite and if you've already tried one of them! Call and make an appointment with us! Can't wait to see you in!